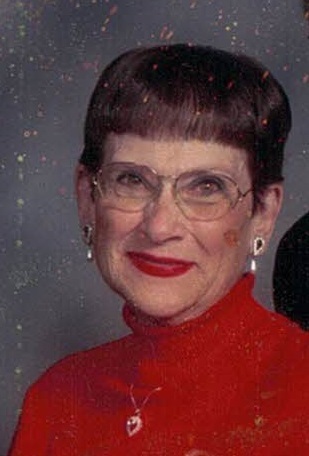 Susan J. Momenee, 77, of Oregon, Ohio passed away on Thursday, March 28, 2019 surrounded by her loving family. She was born on May 26, 1941 in Toledo, Ohio to Charles and Norma McGarry. Susan was a graduate of Clay High School. She was a devoted mother and grandmother who enjoyed spending time with her family. Susan was a member of St. Ignatius Catholic Church where she was active in the church choir and altar rosary society. She enjoyed sewing and golfing and was a member of the Mayflower Society. Susan will be dearly missed. Susan is survived by children, Kam (Tony) Smoktonowicz, Christine (Brian) Emch, Chuck (Mary) Momenee; grandchildren, Michael Smoktonowicz, Jackie (John) Van Zile, Katie and Nick Emch, Natalie and Jackson Momenee and her sister, Kathleen VanCamp. She was preceded by her parents; husband, Thomas and brother-in-law, Bill VanCamp. Family and friends may visit the Freck Funeral Chapel, 1155 S. Wynn Rd in Oregon on Monday, April 1, 2019, from 2-8 p.m. where a scripture service will be held at 7 p.m. The Funeral Mass will be held at 11 a.m. on Tuesday at St. Ignatius Catholic Church, 212 N. Stadium Rd in Oregon where family will receive guests after 10 a.m. Burial will follow at St. Ignatius Cemetery. Memorial contributions can be made to St. Ignatius Catholic Church or American Cancer Society.